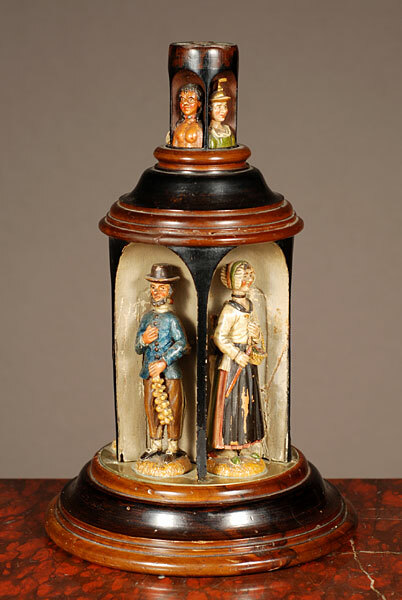 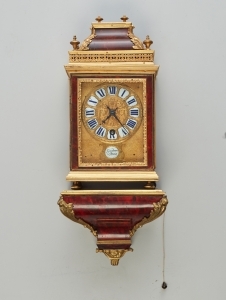 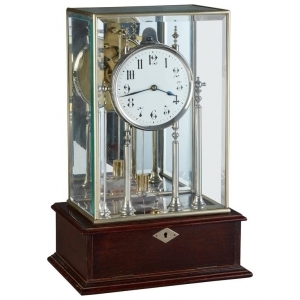 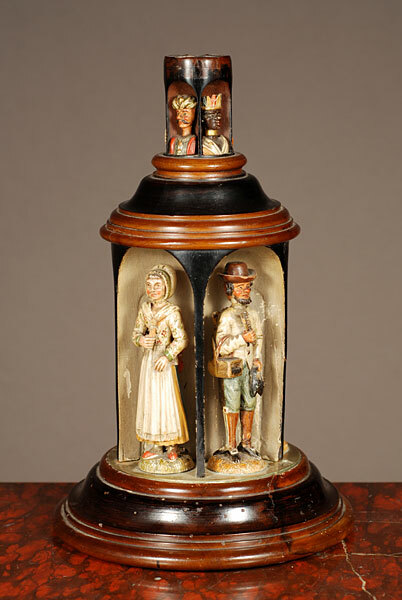 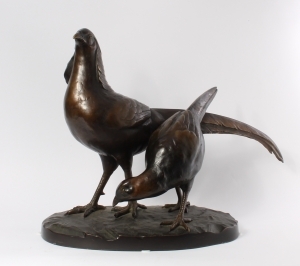 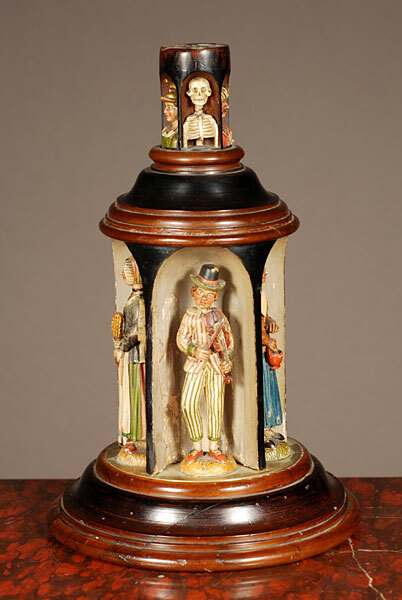 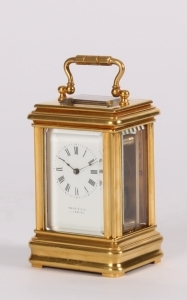 A very rare southern German/Austrian carved revolving figure box with merchants, ca 1850. 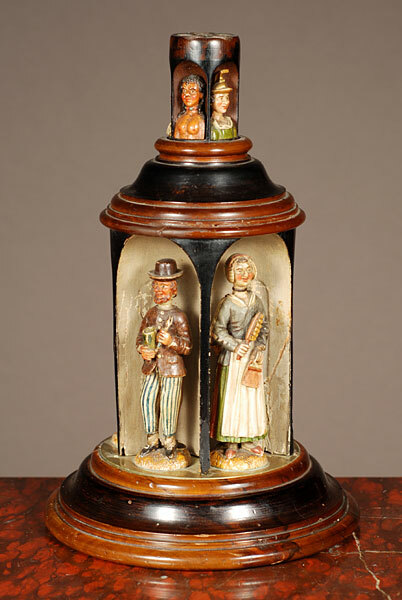 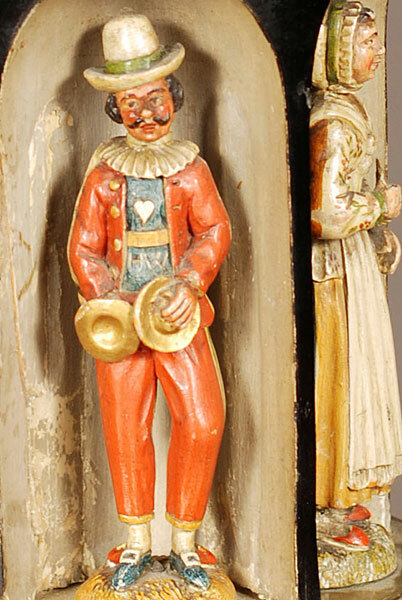 A very rare southern German/Austrian wooden box with carved multicoloured merchants, ca 1850. 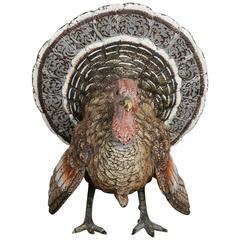 It can be turned around, in the past plausibly prompted by a still partly visable mechanism, probably part of an old game.